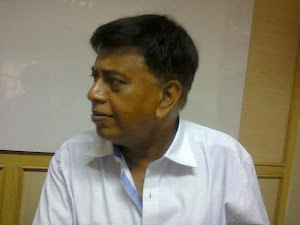 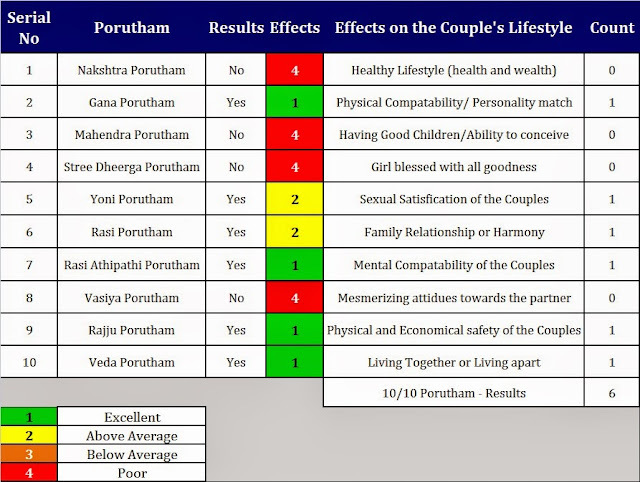 The Results for Marriage (Kalyana) Porutham between Thiruvathira Girl and Revathi (Meena Rasi) Boy: 9 out of 10. (Results: 6 out of 10 is enough for a Marriage). 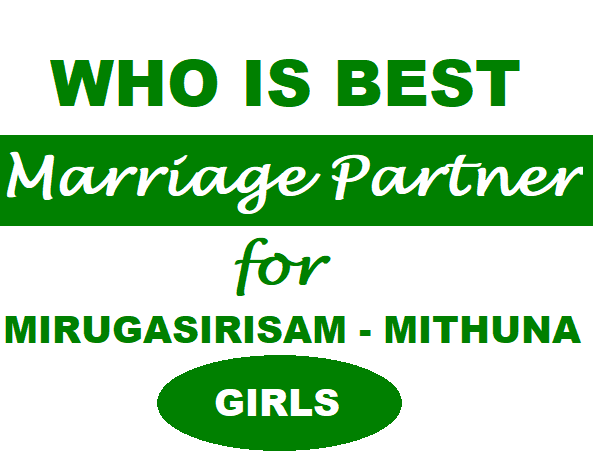 The Results for Marriage (Kalyana) Porutham between Aswini Girl and Punarpusam (Mithuna Rasi) Boy: 5 out of 10. 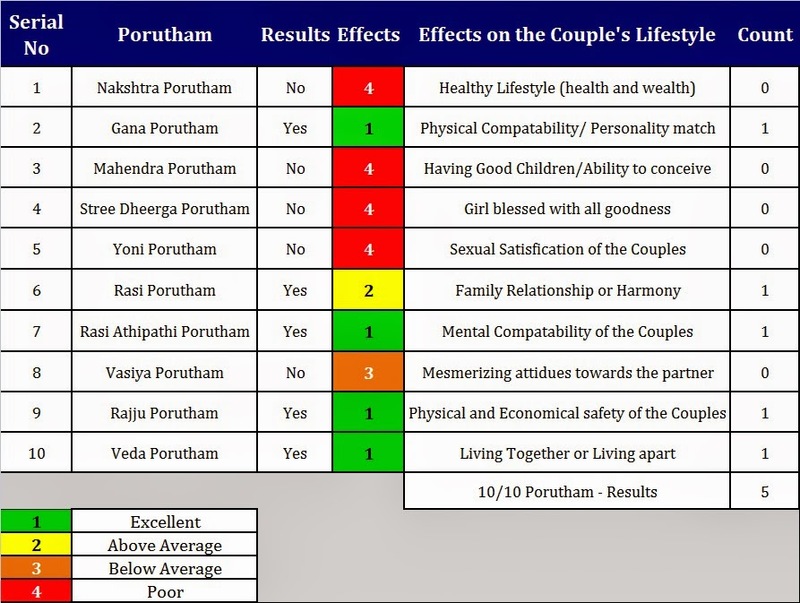 Here the Marriage is NOT recommended.